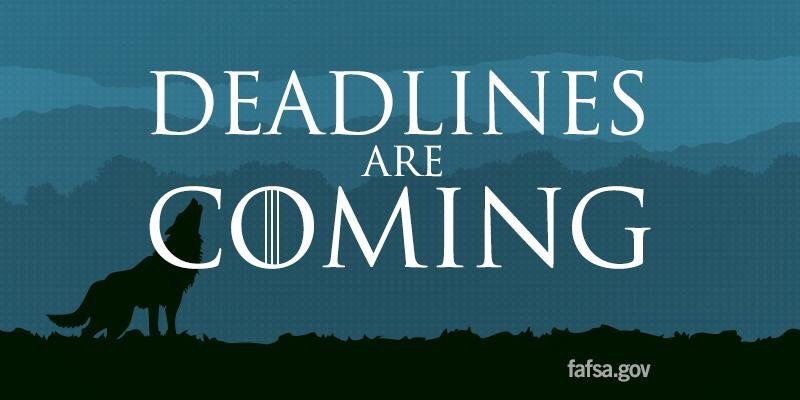 The last thing you want to do is miss a financial aid application deadline. Completing the FAFSA on time assures you qualify for government aid. Don’t be late!